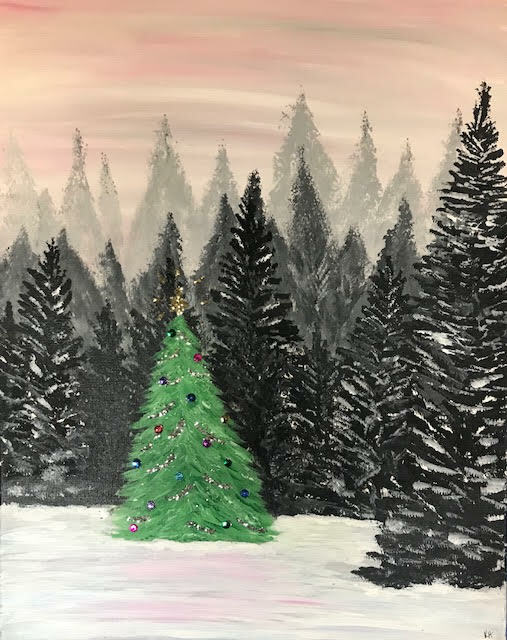 Join us at our Glenville, NY Paint and Sip Art Studio (just 20 minutes from Saratoga) for a fun night creating a unique project! *Making reservations for classes at least 24 hours in advance is highly recommended to ensure you will have a seat. It will also enable our staff to be prepared to give you the best experience! Walk-ins and late registrations may be available at the studio’s discretion, though we cannot guarantee a spot after the 24 hour deadline. You may bring in snacks – finger foods are best! Please arrive around 10 minutes early to ensure a prompt start time. Please check in at the door upon arrival. Art in Mind reserves the right to cancel due to low enrollment or emergency situations. We will notify you if this occurs and refund accordingly. If you must cancel with less than 24 hours notice we can only give store credit. We cannot issue refunds for a non-showing registrant.